Show pride in the New England Patriots Super Bowl LIII victory everywhere you go! This high quality 2-piece commemorative New England Patriots Super Bowl LIII Champions Carpet Car Mat set from Sports Licensing Solutions is the perfect way to pay tribute to the Patriots Super Bowl LIII victory. It comes with a special commemorative design and has a 100% nylon face with non-skid vinyl backing. Universal fit make is ideal from cars, trucks, SUVs, and RVs. 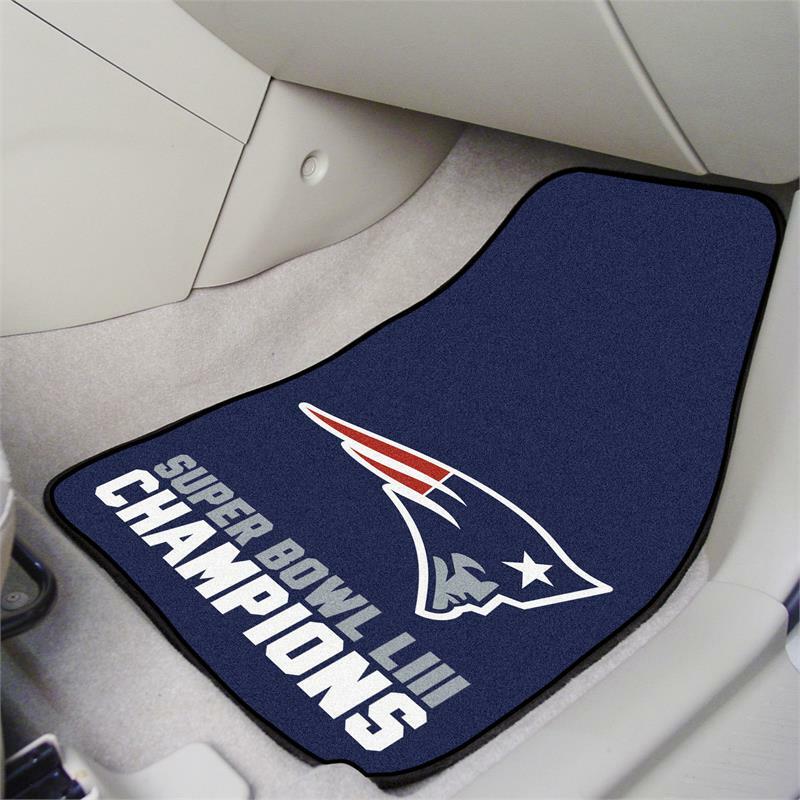 The officially licensed mat is chromojet painted in true team colors and designed with a large New England Patriots Super Bowl LIII Champions logo. Made in the USA.